Early morning after the rain, and the fourteenth-century lichen-encrusted castle provides a haunt for rooks unaware of its past centuries or the vanished life of its great halls. 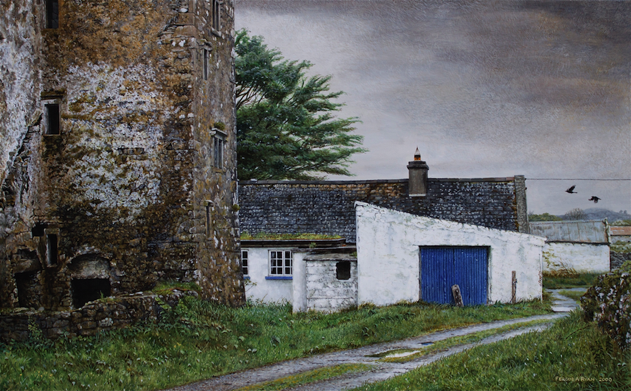 A farmstead and outhouses nestle for comfort around the ancient walls, which echo the rooks’ plaintive call. My original title for this painting was Morning Rooks.